Video and music streaming services have exploded in popularity over the last few years. YouTube and Netflix alone account for roughly half of all internet traffic. Unfortunately, all that streaming isn’t free and if you’re not careful, it can quickly eat into your data allowance. So how can you avoid these excess data fees? The first step to keeping your mobile data usage down is using Wi-Fi everywhere you can. With cafés shopping centres and even parks offering free Wi-Fi it’s getting easier and easier to find a connection on the go. You can even change the setting in your phone or tablet to only perform some data-heavy tasks, like updates or syncing music, while connected to a Wi-Fi connection. The next step is to monitor your data – how much do you really use? Newer phones generally come with a data monitoring app pre-installed. If you’ve got an older phone, there are plenty of great apps available. While the telcos have to notify you when you’re reaching your data limit, these messages can arrive up to 48 hours later, which may be too late. By monitoring your own data usage, you can be sure to know as soon as you approach your cap. Another easy step is to disable push notifications, particularly if you receive lots of emails. Push notifications allow your phone to download a new message as soon as it’s available; convenient but potentially expensive. You’ll still receive text message and phone calls instantly, but by setting your phone to check for emails periodically or manually, you can save a heap of data. If you’re a perennial over-user, you’ve got two options – purchase a larger data plan, or turn off your data connection entirely. 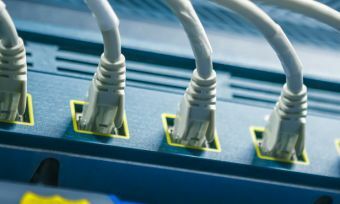 Switching data on and off is quite easy nowadays, and keeping the connection off until you really need it can help to prevent going over your cap. You’ll still receive texts and calls but your emails, Snapchats and Twitter feed won’t keep draining your data. A final option is to switch to prepaid. With a prepaid sim, you can only use what you’ve already paid for, no excess use possible. While you may have to manually top-up your account each month, this guarantees no excess fees.